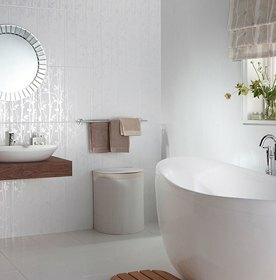 Explore our range of Bathroom Tiles from well known brands including Laura Ashley, V&A & Ted Baker. 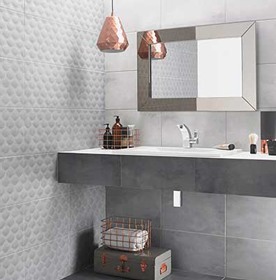 Explore our range of Bathroom Tiles from well known brands including Laura Ashley, V&A & Ted Baker. Bathroom Tiles are a great way of finishing your bathroom design. They are perfect for protecting your bathroom walls and floors from water damage. 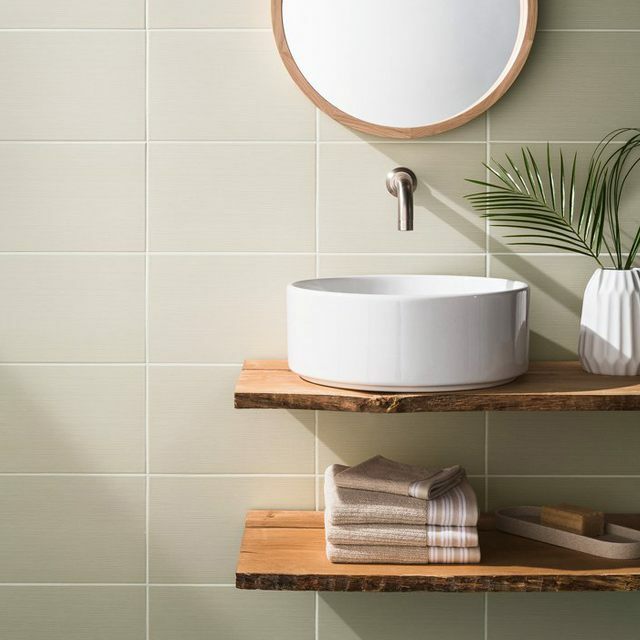 Adding tiles to your bathroom is one of the easiest ways to create a distinctive and unique style. It will create a durable and water resistant space that will last for years. There are thousands of styles and designs of Bathroom Tiles to choose from. In a room where water is present, it may be worth considering floor tiles with anti-slip features, especially with young children. The type of Bathroom Tile you pick all depends on your personal tastes and requirements. 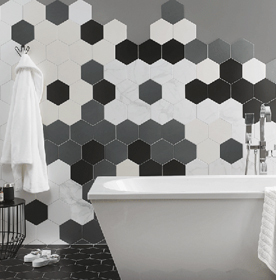 For example if you don’t want to add too many tiles to your bathroom then a feature wall may be the best option for you. 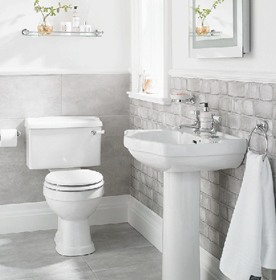 Our ceramic Bathroom Tiles are the most popular bathroom tile and come in huge range of colours such as Grey & White. They are inexpensive and easy to keep clean and maintain. 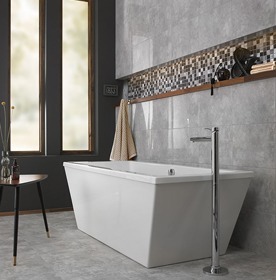 Our porcelain Bathroom Tiles are extremely hard-wearing and durable. 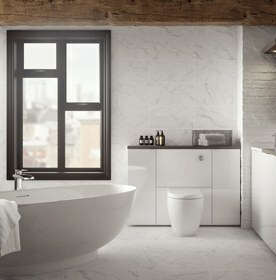 We offer Bathroom Tiles in all shapes and sizes. 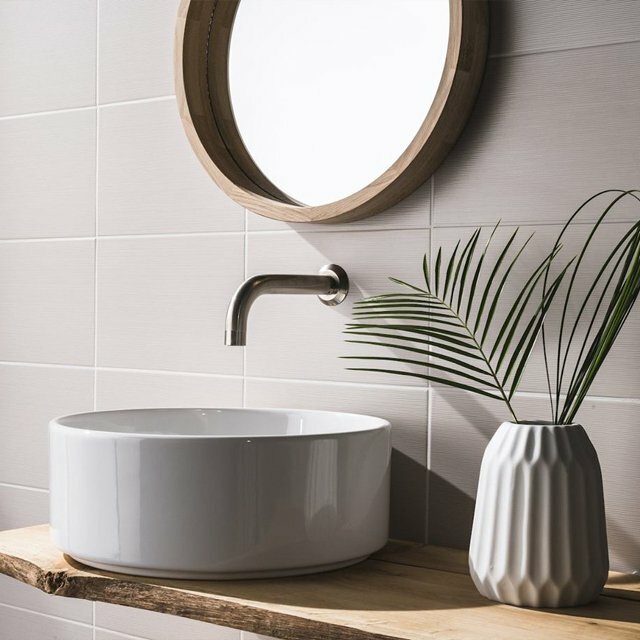 Whether your bathroom space is large or small you can use our bathroom tiles to create a luxury design that makes the most of the space you have. Evaluate the length and breadth of the space and mark it using a datum line in which you wish to use the tiles. Both Cheap Bathroom Tiles are offered in several of different surface textures like diamond plate and coined. You also find ready-made staircase tiles that may be ordered on a per-piece basis predicated on the number of measures you should tile. It's possible to utilise normal tiles to the rise however, you will need some stone for the tread. This is because it should be smoothed and polished to steer clear of a harmful rough edge that may lead to injuries. The very last thing you want are full-size tiles on a single side and half-size tiles on the opposite size. When you set the bathroom tiles on mortar, make sure you wait around for a day and start the custom of grouting. First off, installing vinyl isn't a quick practice. Perhaps the most necessary method to wash toilet tiles naturally is to be more proactive in regards to the matter. 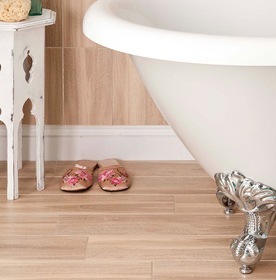 Our variety of toilet flooring tiles is the perfect answer. Bathroom Tiles that are laying might be a really daunting job. Although you've seen different kinds of tiles, marble bath tiles are one of the greatest choices in the event. Marble Bathroom Tiles are thought to be somewhat fashionable. Despite how it is among the very troublesome materials for maintaining and cleaning. 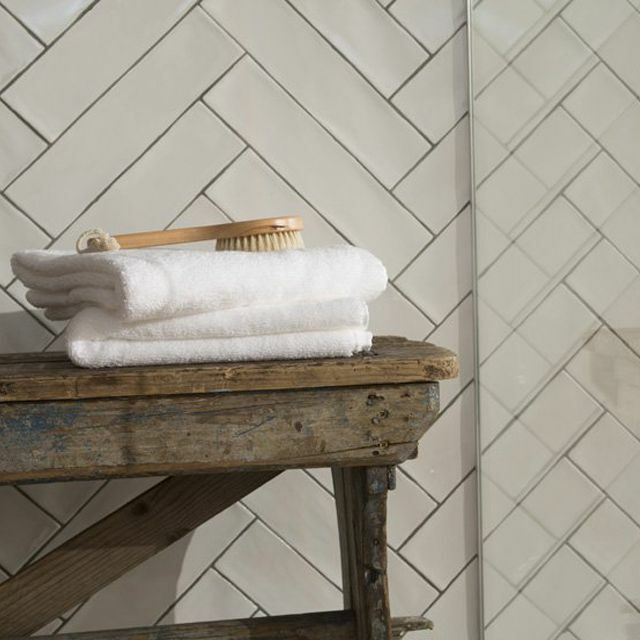 Bathroom tiles UK can withstand heat and dampness, which makes it perfect for shower walls. In case a plastic does crack or is beyond repair, it may occasionally be a challenge to discover a precise match. Laying bathroom tiles isn't as straightforward as it might seem. Throughout the cold winter season, heated toilet tiles might be a cure for your feet. Take control of your home layout and make the oasis you've always imagined by beginning with the group of the suitable toilet tiles. 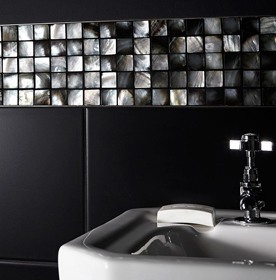 Our toilet wall tiles can bring a little class to your own residence.